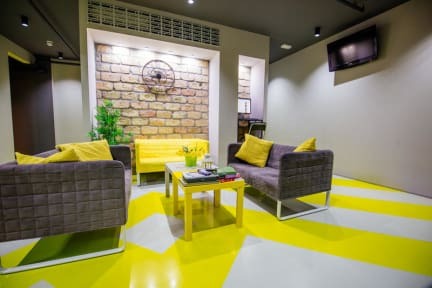 Hostel 63 is a brand new design hostel situated in Vlaška street 63, in the very city center of Zagreb, Croatia. Located only a couple of minutes from the main city square, the main railway station and lying in between all the historical and cultural sites (Cathedral, old town, Lotrščak tower, Ilica – the main shopping street, the famous market Dolac and all the others). 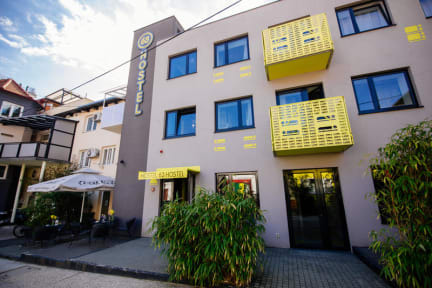 Hostel 63 offers most comfortable accommodation and great atmosphere with all the possible services you can imagine. Each room has its own bathroom. The entire building is covered with free Wi-Fi. Located only a couple of minutes from the main city square, the main railway station and lying in between all the historical and cultural sites (Cathedral, old town, Lotrščak tower, Ilica – the main shopping street, the famous market Dolac and all the others). Our rooms are made with high standard. We have 10 rooms with a total of 36 beds and each room has its own bathroom, air-conditioning, some rooms have a balcony. You can surf the internet or watch TV in our lobby. Reception works 24 hours a day. Check in from 14:00 to 23:30.